Inspection and retrieving tools from Belmont are versatile implements that can inspect and retrieve objects that can't be reached due to safety concerns or lack of mobility. A magnetic pickup can safely retrieve metal objects from narrow locations, with models that can lift up to 35 pounds and have a telescopic reach of up to 42 inches. Precision tweezers are perfect for fine electronic work, such as circuit board repair or wire installation. 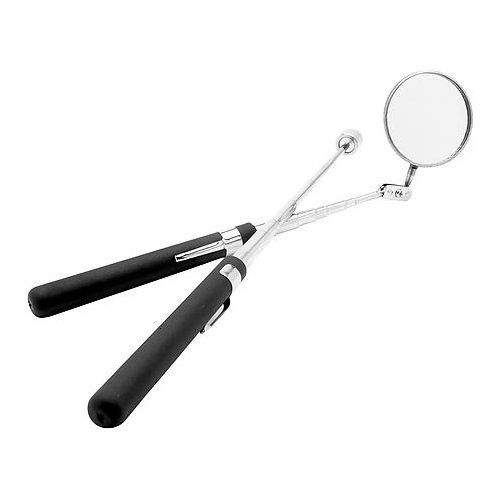 Inspection mirrors can spot potential hazards from as far as 12 feet, and are great for inspecting the undercarriages of cars, busses and trucks.